According to a July 2 press release from the Commissioner of the Indiana Department of Insurance, the 4th of July accounts for the most reported fires nationwide. According to the release, in 2010 alone there were at least 8 deaths reported and $36 million in property damage. And, if you accidentally set fire to your own property or that of a neighbor while celebrating with fireworks in spite of a ban on using them, you may not be covered for the resulting losses. So, use caution, be safe, and leave the fireworks to the professionals. Here is the Indiana Department of Homeland Security’s list of locations with fireworks bans. 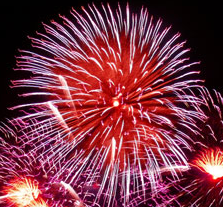 Happy Independence Day from the property damage attorneys at Parr Richey!